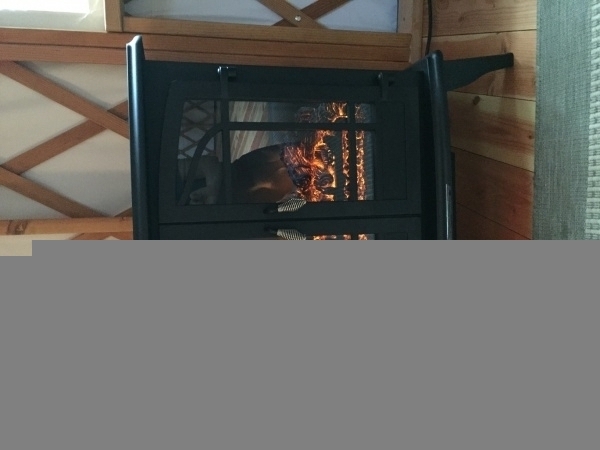 For a variety of reasons we have decide to not put in the wood stove this winter - but I was sad to miss the cozy factor that would have provided. Found this little heater at home depot and it works pretty darn well for now. 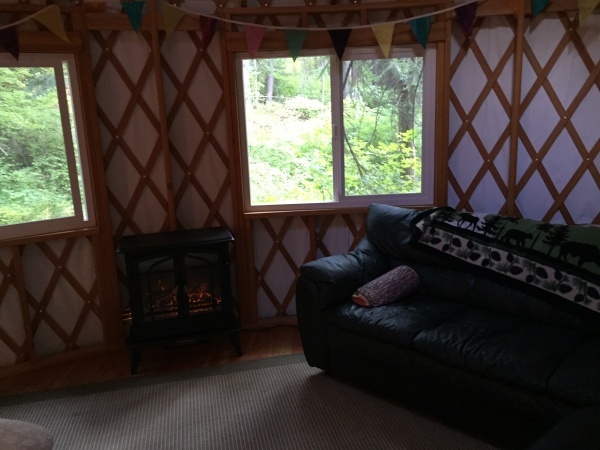 Hasn't gotten too cool yet, so it will still need to prove itself, but at least its a bit cozier than cuddling up in front of a space heater. Last edited by mama23; 09-24-2016 at 10:48 PM. 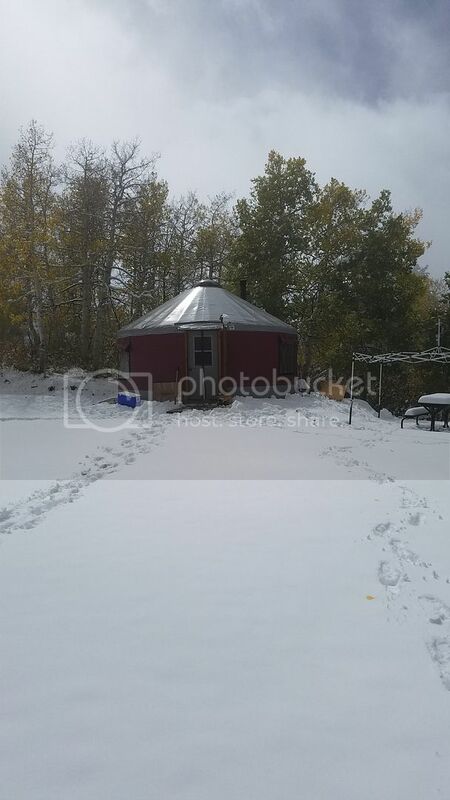 Had our first snow storm last Friday since we put up the yurt. Last edited by Stea; 09-25-2016 at 04:58 PM.